Most people have heard by now that Fox is in the process of making an X-Force movie. Cable is a big character that hasn't' been unveiled yet, and if Deadpool does what everyone thinks it will do, then Fox has something with the X-Force wing of mutants. New Mutants #100 (released 4/1991) has universally been accepted as the 1st appearance of the first X-Force team. There was 500k-750k copies of this book printed and rare or hard to find aren't synonymous with the book. That being said today Manole from our sponsor Hall of Comics noted that in all actuality NM #100 isn't the 1st appearance. 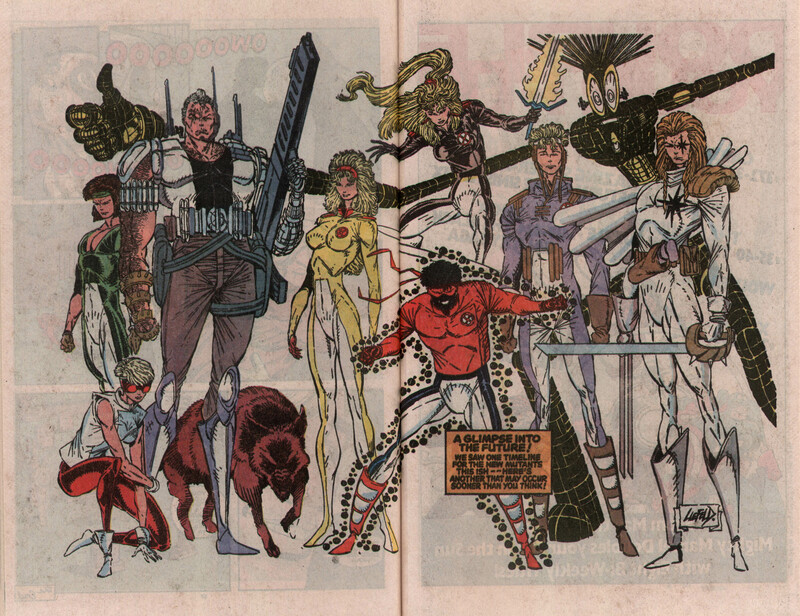 Below is an image from New Mutants Annual #6 (released 7/1990) showing the X-Force team. It was a glimpse into the future per the issue and page. This book can be had for pennies on the dollar right now. Awesome detective work by Manole. He was the 1st person to report the Rai #2 Mask variants as well. Our editor in chief and male fitness model Inigo pointed out something I wasn't aware of. 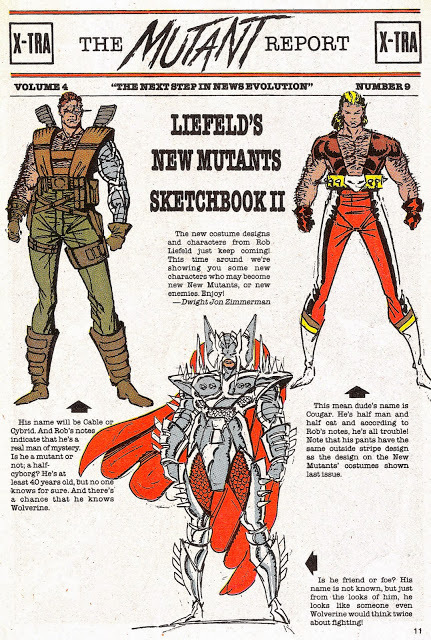 Marvel Age #82 (released 12/1989) has the 1st reference to the modern day X-Force with a Liefeld sketch of Cable, Cougar (Deadpool Prototype?) and Stryfe as seen below. Marvel Age are indeed comic books, I know there is a lot of debate about them, but they are in comic format and have some very important history within their pages. I thought you guys might enjoy this. Thanks to Manole and Inigo for the information. April 9, 2018 Week 20 Wraparound Covers! Great info – I can hear the dollar bins calling me. Thanks Trey, Manole, and Inigo! Good eye, Manole! Liefeld actually took the Cougar character and put him in Youngblood. God help me for knowing that. Great article! Just made my purchase. So would the Marvel Age be the first appearance of Cable? ? If it predates NM 86! That shot from New Mutants annual 6 doesn’t look like the roster of X-Force. No Feral, Warpath or Domino. Shows Warlock, Magik, Sunspot, Wolfsbane, Rictor and Skids all members of the New Mutants but not original members of X-Force. Some of them did return to become members of X-Force. That would probably be the first appearance/cameo of Shatterstar. So at this point NM 100 is still the first appearance of X-Force? I like this pic but they are not named X-Force and the members are different as someone above pointed out. I guess you call this annual a prototype of X-Force. Also Diamond Previews from April 1991 was released in the same month or just prior to NM 100 and is possibly the first appearance and definitely the first X-Force cover. People are hunting. NM Annual #6 is at 4th spot on Atomic Avenue. I snoozed but still cool to know cbsi put this book on the map.